I really enjoy grilling. I’d love to try my hand at proper barbecue some day, too. The injections and rubs and slathers and mops and glazes and sauces… I watch BBQ Pitmasters like some people watch Survivor. “Oh my gosh, he’s putting the same sauce he used for ribs on his brisket? !” “His chicken is going to be mushy if he injects it with that too soon.” “Close the damn pit and let the food cook!” Yes, I may have said any or all of those things out loud to my T.V screen. I’m a total armchair pitmaster. LOL I dream of having a smoker. And a large group of appreciative friends who want to pitch in for the cost of meat for parties. These two rubs are in my cupboard currently. One is pretty all-purpose. Sweet, salty, good depth of flavour, and mild. I’d make it spicy if everyone in the house liked it that way, but I have a son who seems to have inherited my father’s palate. Black pepper is as far as he will go, and only if he can’t actually see it. 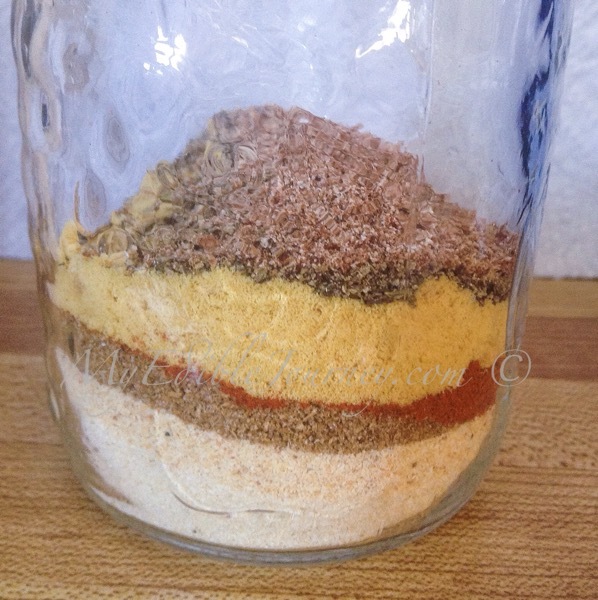 The salt-free rub is great for brined chicken or turkey. You don’t want to add salt to poultry that’s been soaking up a salty liquid for hours, but you do want to still add flavour. Go ahead and sprinkle it over salted grilled potatoes in the final 15 minutes or so of cooking. It’s good! 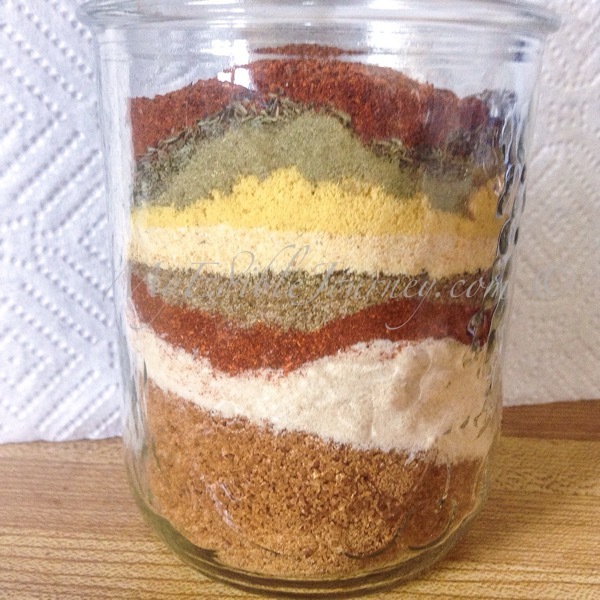 When you’re going to store a rub that contains sugar, it needs to be dry. Brown sugar in and of itself has too much moisture and will cause the mix to clump with time. You can spread your sugar out on a baking sheet for a few hours to dry out, assuming it’s not a humid day. Or you can use other sugars, like cane, palm or just white. Smoked salt is more readily available now, too. But if you cannot find it, just use smoked paprika instead of plain. Please do not use iodized table salt, though. It gives a funny taste that will ruin your rub. When stored in an air tight container in a dark, cool place, these rubs will keep for a year. But you’ll use them before that, I promise. Play around with these and adjust them to your taste. Definitely spice them up if you like a kick. 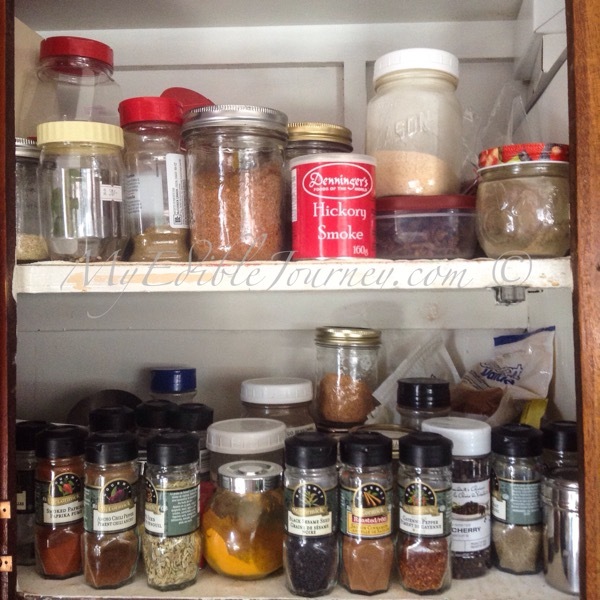 I will separate some out and add a little allspice if I’m using one on pork. I love pork and allspice. Add more sage if you’re cooking poultry. Or a little dill for fish. Even wasabi (horseradish) powder can give a nice twang to your rub, and is especially great with beef.